“Every day, in every way, I am getting better”. This famous phrase was written be Emile Coue de Chataigneraie, or as he is now known simply Emile Coue. These days there are so many glossy self help books available that it can be quite a surprise to actually get your hands on one of the books which founded so much of what the self help movement now talks about. Anyway, let’s start by introducing Emile Coue. He was a French pharmacist who live lived between 1857 and 1926. His interest in positive affirmations began when he noticed that the efficacy of the medicine which he prescribed was much better when it was handed over accompanied by praise. He came to believe that our mental state can, to a large extent, determine the world in which we live. 1. When the will and imagination are in conflict then the imagination always wins. 3. When the will and imagination are in agreement then their impact is multiplied. 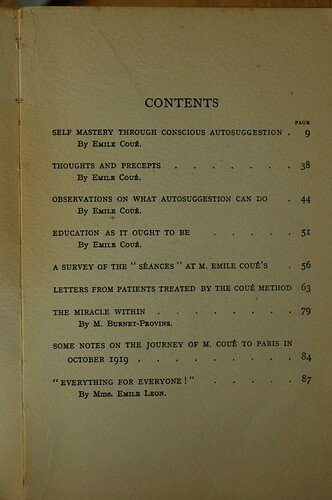 Coue prescribed suggestions for encouraging the patient to adopt a relaxed state which would be open to suggestions and in this he was showing his research into hypnosis. However he also noted that mental illnesses were harder to cure than physical ones. He was also very clear that some cures, such as re growing limbs, were clearly impossible and that this type of achievement should not be sought after. 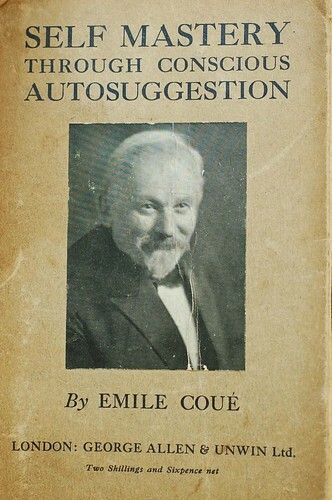 Emile Coue’s ideas were acknowledged by his peers and towards the end of his life he published his short book “Self mastery through conscious autosuggestion “in 1922. These days the claims being made by the self help gurus of the world have far outstripped those which Emile Coue first spoke about. It makes you wonder what this gentleman from a century ago would have thought of our world. This is the front cover from his book. This article has been written by Mike Holly who has been exploring cottages around Hadrian’s Wall. What could be a good suggestion to stop nail nail biting? I liked this post because I suffer from depression. So seeing your tips on how I can be stress free is definitely very motivational. I will be sure to share this with friends and family in hopes that it will also build their self-esteem.